Finding the right home isn’t just about where you live, but about how you live. Your home should not only fit your lifestyle, but enhance it—giving you the comforts you need, with the location you want, in the community you’ve always dreamed of. That’s where the experts come in. Halifax Life Real Estate Consultants, led by the dynamic husband and wife team Cecil Freeman and Cheryl Jenkins, provides quality real estate solutions that fit the needs of their clients’ evolving lifestyles. Our industry knowledge, passion, and exceptional service ensure our real estate solutions fit the evolving lifestyles of our clients. As trusted consultants, we provide sound and transparent advice while guiding you through your real estate transition. Dreaming of an incredible location in the heart of a vibrant community? How about the convenience of maintenance-free living? As condo experts, Cecil and Cheryl can show you some of the most desirable options in HRM. With many obstacles, you cheerfully met the challenge and lifted many burdens off my shoulders. The buying process was extremely smooth and I am grateful for the many extras you both did along the way. Our web site is here to help you 24 hours a day.  When you are ready to see a listing in person, or just have a simple question, please don’t hesitate to contact us!